(W) Tom Taylor (A) David Lopez, David Navarrot (CA) Bengal. Shes the best there is! X-23 was created to be a weapon; for a time, thats all she was. But with the help of her mentor, Logan the original Wolverine she escaped that dark past. Now, the man she knew has fallen, but Laura will honor his memory as the All-New Wolverine. But with the famous cowl comes a world of misery and mystery like the devastating secret of the Sisters. Uncovering it will involve new friends Doctor Strange and the Wasp, and lethal new enemies like the Taskmaster! But after recent events, Laura is growing used to doing everything in her power to save those around her from forces hell-bent on destruction. If anyone can stop them, its Laura. After all, its what Wolverine does. 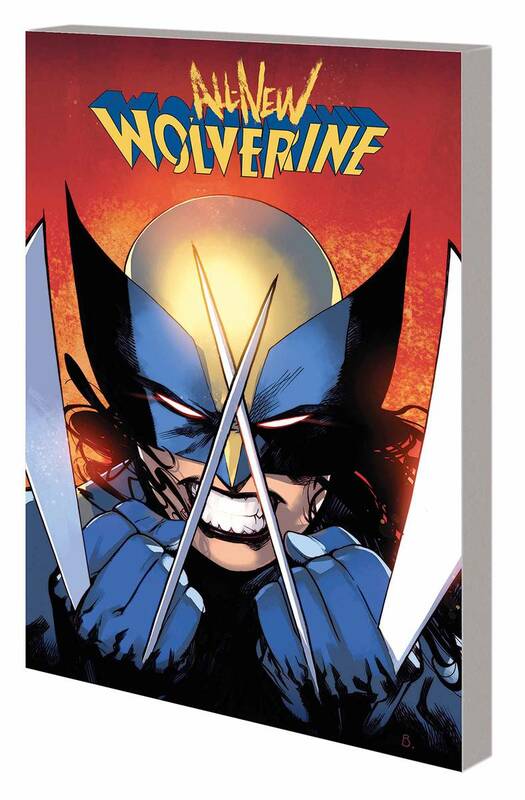 Collecting ALL-NEW WOLVERINE #1-6. Parental Advisory.